It’s terrifying when most property owners realize how susceptible their building is to the dangers of fire. 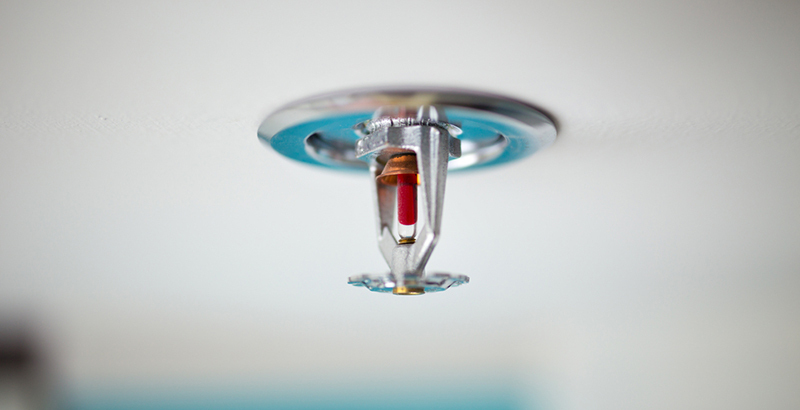 Installing a fire sprinkler is a key step in battling the dangers of a fire. There are several reasons to consider installing a fire sprinkler at your workplace – here are only a few. Everyone is aware of how smoke detectors work… more than likely, many building owners have had a smoke detector go off when there was no danger of a fire at all, and they were only cooking, smoking, etc. Because of this, many people are nervous to have a fire sprinkler installed in their homes, assuming that any sign of smoke will cause a deluge of unwanted and unneeded water. This couldn’t be further from the truth: while smoke detectors react to smoke, fire sprinklers are designed to react to heat. This means that a sprinkler will only go off if there’s sufficient heat to trigger it… and the levels of heat required to trigger a sprinkler can only be achieved by an actual fire. Most people shrink at the idea of water soaking the interior of their work pace – people are understandably concerned that a sprinkler will drench their belongings, ruining important documents, damaging their computers, etc. While this is a reasonable reaction to the idea of sprinklers going off in your office, the truth is that damage done by any fire sprinkler is minimal. Fire sprinklers act quickly in reaction to a fire, and use just enough water to extinguish a fire, and use much less water than firefighters would need to use. Sprinklers manage to achieve the least amount of damage to their environment, while reducing the risk from fires a considerable amount. The cost of recovering from a fire can be tremendous, but the cost of installing a sprinkler doesn’t have to be. Sprinkler installation can actually be surprisingly affordable, though it does vary from building to building and location to location. Studies show that most people will pay less for the installation of a sprinkler system than they will on new equipment or interior. The insurance on your commercial building is also likely to go down if you choose to install a sprinkler system, providing additional savings. Firefighters have begun regularly advocating for commercial installation of fire sprinklers. While sprinklers are common in businesses and offices, very few property owners have opted to install sprinklers, and firefighters have been working hard to change that statistic. Firefighters are convinced that many lives would be saved if business owners would begin regularly updating and inspection sprinklers in their work areas.